Reading Rainbow DVDs are designed to enhance your standard curriculum. 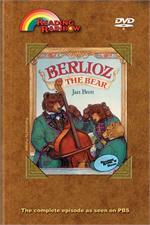 Educational DVDs like Berlioze the Bear can add an additional layer of learning to your music lesson plan. Reading Rainbow episodes like this are ideal for a break from standard instruction or as a reward for hard work—they’re so fun, students don’t even realize how much they are learning. 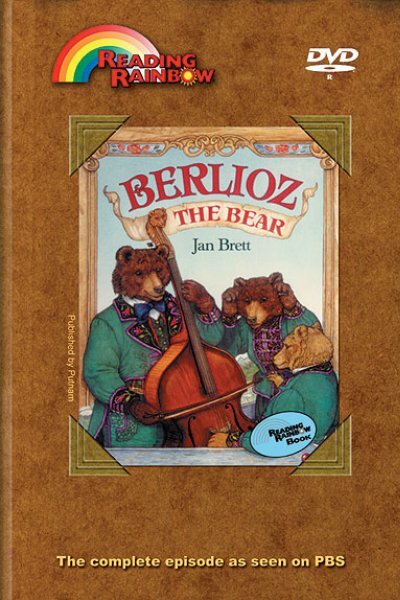 In Berlioze the Bear, students will learn more about the magnetic affects of the rhythm and energy of music. Berlioze and his fellow musicians are set to play for the town ball when their bandwagon gets stuck in a hole in the road. A strange buzzing in Berlioze’s instrument ultimately saves the day. LeVar takes students on a musical journey through New York City, where he meets musicians who call the streets their stage. You get behind the scenes peeks at The Boys Choir of Harlem, visiting with the boys and their director. Music of the City – LeVar takes us on a musical journey through New York City, meeting many musicians who call the streets their stage. Boy’s Choir of Harlem – Go behind the scenes of the Boy’s Choir of Harlem and meet the boys and their director, Dr. Walter Turnball. Street Musicians – Listen to the music of the street as many musicians share their music all over New York City. An Introduction to Musical Instruments (series) by Dee Lillegard. Click here for Theme Lesson Plan -- "Music, Music"